The AMA is the commercialized successor to Lawrence Livermore National Laboratory’s earlier microarray, called the Lawrence Livermore Microbial Detection Array (LLMDA). “Two of the array’s advantages are that it’s faster and cheaper,” said Raymond “Bob” Rowland, professor of diagnostic medicine and pathobiology at Kansas State’s College of Veterinary Medicine. “I live in the world of veterinary medicine and cost is critical. As LLNL and Thermo Fisher Scientific researchers moved to a higher throughput microarray, one of the team’s prime goals has been to maintain a high-resolution and sensitivity of detection. In veterinary tests with pigs, the microbiome array detected two viruses – porcine reproductive and respiratory syndrome virus and porcine circovirus type 2 – as well as other common viral and bacterial microbiome species. Because of the microbiome array, veterinarians can now conduct multiple tests on a single animal in Rowland’s view. “This is a technology that is meant for the veterinary technician to use. It’s the everything test for everything. “We base our testing on pathology. When we see a change in the tissue of an organ, that’s where your pathogen can usually be found. If we see changes in multiple organs and multiple tissues, now we can sample them all,” Rowland said. In addition to Rowland and Jaing, the paper’s lead author, other paper co-authors are LLNL biologists James Thissen and Nicholas Be, LLNL bioinformaticists Kevin McLoughlin and Shea Gardner (deceased), retired LLNL computer scientist Tom Slezak and Thermo Fisher Scientific biologists Paul Rack and Michael Shapero. Here is a glimpse into the future of global public health: a credit-card sized piece of paper is dunked into a liquid sample at a health clinic in a developing nation, quickly telling a doctor or nurse whether a malnourished child with diarrhea is infected with a virus, a bacteria, or a parasitic protozoan. Gastrointestinal ailments may sound like a small matter in the industrialized world, but in millions of remote villages in developing nations, food, and waterborne illnesses are potentially deadly matters. According to the World Health Organization, diarrheal diseases are among the top 10 causes of death; and they are the second biggest killer of children under the age of 5. Rapid diagnosis can mean fast, appropriate treatment. This is the quest of Shannon Weigum, an associate professor of biology at Texas State University. Her laboratory is merging principles of biochemistry and materials science to create a miniature, highly portable, rapid-detection tool for diarrheal illnesses. Her hope is that this tool could someday make a major impact on global health. Weigum’s first diagnostic targets are noroviruses, which cause more than half of the foodborne illnesses in the United States. 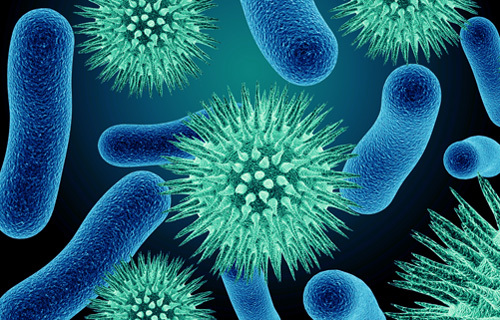 Health data show that noroviruses are the most common cause of diarrhea in adults and the second most common cause in children. The tests have been expanded to detect bacteria and protozoan parasites. The overall goal is to make diagnostic testing available where it previously was not. To be practical for remote clinics in undeveloped areas, though, laboratory tools have to be inexpensive as well as highly portable. Poor countries lack medical infrastructure and skilled personnel to operate the sophisticated diagnostic tools found in large urban medical centers. 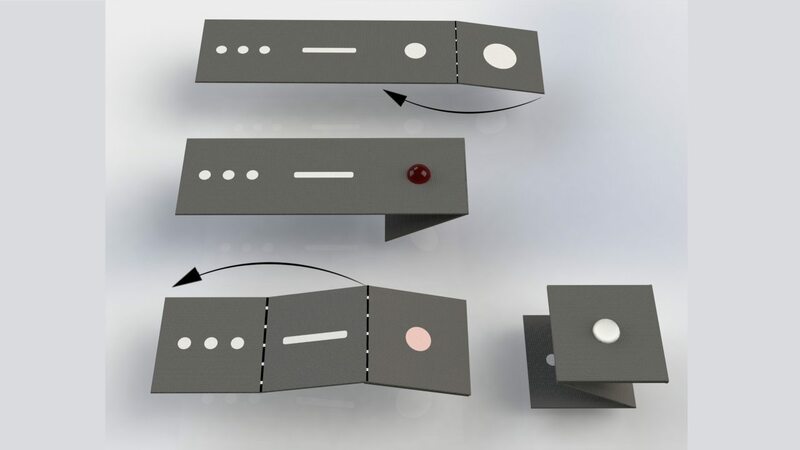 Imbued with nanoparticles and using microfluidics, the paper cards interact with specific bacteria or viruses to quickly, accurately identify diseases. A faster diagnosis means healthcare workers can move beyond treating symptoms and attack the disease. State’s Science, Technology and Advanced Research (STAR) Park. By working and teaming up with a biotech company, we are able to progress the technology to the point of commercial viability,” Weigum said. Additional funding for the project has come from the U.S. Department of Defense and a Small Business Innovation Research (SBIR) grant. “We had a successfully funded phase one and phase two. SBIR supports research and development and potential commercialization,” she said. Weigum began her science career as a high school teacher in San Antonio, and then returned to the classroom as a student to pursue advanced degrees at The University of Texas at Austin. After earning master’s and doctoral degrees in biochemistry, she moved to a postdoctoral fellowship in bioengineering at Rice University, where her love of biology began to merge with materials science and opened the door to cutting-edge engineering innovations in developing diagnostics. Next up is pre-clinical and clinical testing. Working with Dell Children’s Medical Center in Austin, Weigum expects pre-clinical trials to begin in six months to one year. Bluejay Diagnostics, Inc. (Bluejay) is pleased to announce a new Cooperative Research & Development Agreement (CRADA) with the U.S. Naval Medical Research Center (NMRC), Silver Spring, Md. 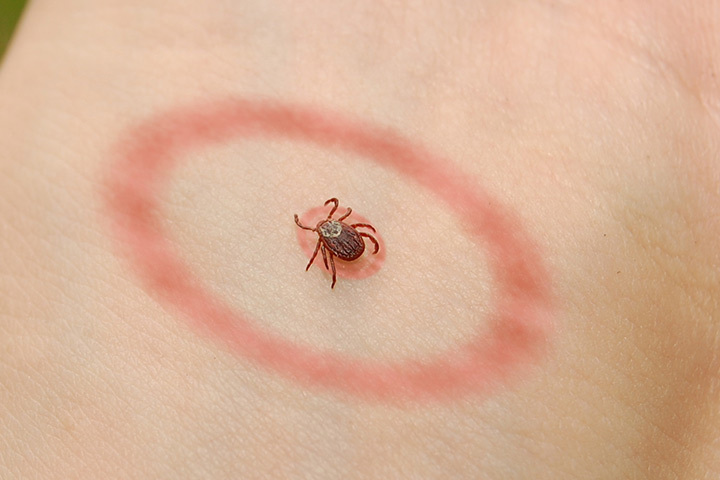 The project, which will take place in Maryland, will investigate and develop a non-invasive point-of-care test for Lyme disease with the goal of improving detection of Lyme disease at an early stage. This collaboration will focus on the study of antigens from various pathogens, and successful identification of the most immunoreactive antigen. This information will then be used to develop a rapid test for the efficient detection of pathogen-antigens in biofluids (such as serum, urine or other biofluids) using Bluejay’s FDA-Cleared platform technology, which combines immunochromatography and laminar flow using proprietary materials and design. “We are confident this collaboration will allow the Navy and Bluejay to pursue not only the development of Lyme disease tests, but also for other infectious diseases,” said Neil Dey, Chief Executive Officer for Bluejay Diagnostics. “We look forward to working with the Navy on this project. The two-year agreement between the Navy and Bluejay Diagnostics will be completed in four phases to identify the most pertinent antigen, confirm sensitivity and specificity, generate specific high-efficient antibodies, and provide a proof-of-concept test on the platform technology. In vitro diagnostic (IVD) devices for the detection of the Bacillus species were assigned to class II on Friday, following the release of a US Food and Drug Administration (FDA) final rule. The IVDs are prescription devices and indicated to aid in the diagnosis of diseases caused by the Bacillus species, including anthrax. They are intended for the detection and differentiation of the bacteria, such as Bacillus anthracis, and had been unclassified devices prior to FDA’s final classification regulation. Gottlieb noted device manufacturers have inquired about how the agency reviews tests that can detect Bacillus anthracis, citing the important role such devices play in a public health response to an anthrax attack. The final rule is the culmination of FDA’s “effort to provide a clear and predictable review pathway for these specific test developers” as it helps “understand the requirements, including testing criteria and how to address potential safety risks for lab workers using the devices,” Gottlieb added. The decision to finalize the class II regulation resulted from recommendations made by the Microbiology Devices Advisory Panel in 2002. Rather than that of de novo classification requests, most unclassified devices have been classified under device classification panel procedures. The procedures involved a 2016 comment period, though the proposed rule for the IVDs did not receive any relevant comments. The final rule will come into effect 30 days from its publication in the Federal Register. FDA clarified that manufacturers are not required to submit a 510(k) for IVDs legally marketed prior to the publication of the final rule. For such devices, the agency does not intend to enforce compliance with the special controls in sections VI, VII and IX of a new FDA guideline issued in conjunction with the final rule. Yet the final rule established a one-year grace period for such devices to comply with the labeling special controls set forth in section VIII of the guideline, after which FDA intends to consider taking enforcement actions. The implementation strategy differs, however, for manufacturers required to submit a new 510(k) for devices undergoing significant changes or modifications. In addition to those that have not been legally marketed prior to the final rule, modified devices must comply with the new set of special controls. The new class II special controls guideline on IVD devices for Bacillus species detection is partly based on the feedback from the device classification panel. Special controls identified in the guideline relate to device description requirements, performance studies and labeling, among other specific IVD requirements. The requirements that will eventually apply to all devices, including those that are currently legally marketed, fall under labeling. Labeling special controls in the new guideline address IVD intended use, directions for use, precautions, performance characteristics as well as interpretation and reporting of assay results. The final rule also restricts the use and distribution of IVDs for Bacillus species detection to laboratories that follow public health guidelines. The class II assignment follows on the heels of the new Tri-Agency Task Force for Emergency Diagnostics’ launch to facility the rapid development and deployment of IVDs during public health emergencies. Very soon cost effective, time saving equipment to diagnose tuberculosis (TB) caused by the mycobacterium, malaria, intestinal parasite, and cervical cancer would be available as the researchers from Indian institute of Technology (IIT-D), Delhi have developed a low costing 'Artificial Intelligence (AI)-based low-power electronic hardware system', a device which is estimated to bring down the detection time of the deadly disease from two days to few milliseconds. The device has been designed by the students of Department of Electrical Engineering: Khushal Sethi, Narayani Bhatia, Vivek and Shridu Verma. The team was headed by the Professor Manan Suri of the same department. With detecting the disease in a few seconds, the device can also be used for healthcare access in resource-constrained areas with limited access to human specialists. "While several software AI models exist for healthcare and diagnostic related applications, need of the hour is to efficiently map these models on portable dedicated low-power, low-cost hardware to enable edge-AI systems accessible to all in low resource environment," said professor Suri. The researcher says that TB is one of the top10 causes of death worldwide and 39 percents of the population is at risk of malaria. "Rapid screening of TB is possible, but the service accessibility is still poor in rural areas and require specialized equipment that is not readily available," said Puri. Further as per the data shared by the team, cervical cancer is the fourth most common cancer in women, and seventh overall, with an estimated 528,000 new cases and 266,000 reported deaths worldwide. The professor added that microscopy is particularly well adapted to low-resource, high disease burden areas, being both simple and versatile; even for diagnostic tasks for which newer technologies are available the cost of specialized equipment may render it impractical in such places. "Such diagnosis requires skilled persons and there is a critical shortage of skilled technicians in our country. Thus, diagnoses are often made on the basis of clinical signs and symptoms alone, which are error-prone and lead to higher mortality, drug resistance, and the economic burden of buying unnecessary drugs. Hence, such alternatives will provide an access to quality diagnosis that is currently unavailable," said the professor. Early detection and treatment are crucial to prevent spread, outbreaks of TB. 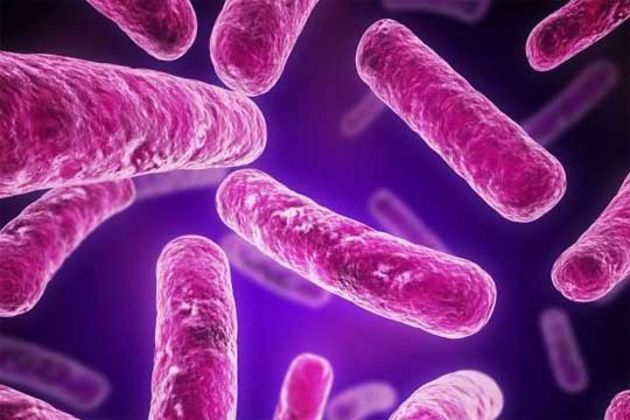 Scientists at the Translational Health Science and Technology Institute and All India Institute of Medical Sciences, have jointly developed a diagnostic test kit for TB meningitis (the most severe form of TB) which has almost 91 percent accuracy in detecting disorder. The kit has been developed by a multi-institutional team led by Professor Jaya Sivaswami Tyagi from the Department of Biotechnology at AIIMS. The performance of the diagnostic test was evaluated in approx 100 cerebrospinal fluid samples obtained from paediatric subjects, and for pulmonary over 300 tests have been conducted so far, said Dr. Tarun Kumar Sharma from the Centre for Biodesign and Diagnostics at Translational Health Science and Technology Institute (THSTI), Faridabad. A rapid, point-of-care diagnostic test for TB meningitis that uses the DNA aptamer has already been adapted to a sensor format and is being evaluated on clinical samples. "It takes all of 30 minutes to get the result as we are using an electrochemical sensing platform. The test which will cost around Rs 300 only is being done in AIIMS and RML hospital in Delhi," says Prof. Tyagi. The aptamer-based diagnostic test for TB meningitis has been patented by AIIMS and THSTI and licensed to AptaBharat Innovation Pvt Limited, a THSTI spin-off founded by Dr Sharma. "The currently used diagnostic methods microscopy and culture of cerebrospinal fluid suffer from huge limitations in terms of poor sensitivity and long turnaround time of up to eight weeks, said the official. 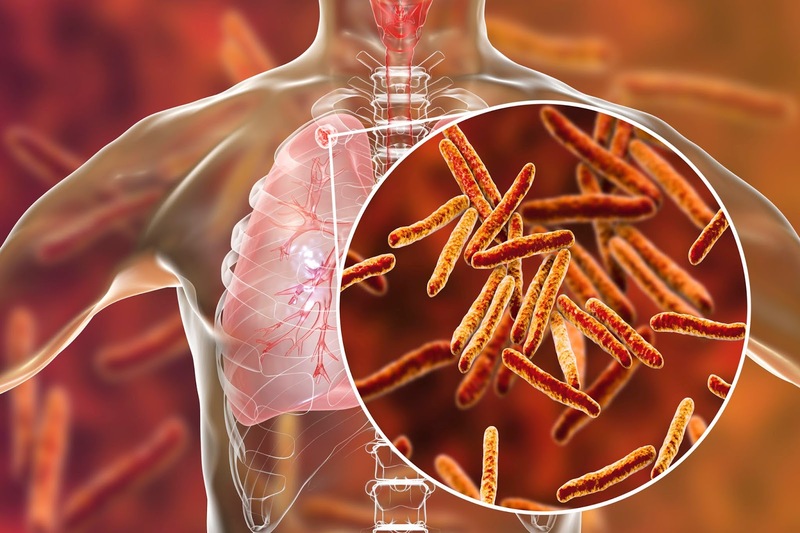 In time for the World Tuberculosis (TB) Day 2019 on Sunday, March 24th (www.who.int/campaigns/world-tb-day/world-tb-day-2019), Bruker announced the launch of an important further innovation in the field of tuberculosis diagnostics. According to the World Health Organization (WHO), TB is among the most dangerous infectious diseases worldwide, ranking alongside HIV/AIDS (https://www.who.int/tb/en/) as a cause for death. One of the targets of the United Nations' Sustainable Development Goals for 2030 is to end the tuberculosis epidemic (https://www.un.org/pga/73/event/fight-to-end-tuberculosis/), which demands a global effort to tackle the rise of multi-drug-resistant TB (MDR-TB) and extensively-drug-resistant TB (XDR-TB). MDR-TB is resistant to the first-line drugs isoniazid (INH) and rifampicin (RIF), and XDR-TB in addition has developed resistance to fluoroquinolone and the injectable compounds used. The rapid diagnosis and appropriate treatment of both MDR-TB and XDR-TB is therefore essential to prevent significant morbidity, mortality and further transmission of the disease. In recent years an increased spectrum of anti-mycobacterial resistance, and therefore an increased number of MDR and XDR cases has been observed. Conventional antibiotic susceptibility testing (AST) methods for TB can take an extremely long time to yield results, require significant laboratory infrastructure and training, and are potentially biohazardous. As a result, there is still under-diagnosis and a gap between acute TB cases and TB notifications. The new PCR-based FluoroType MTBDR 2.0 assay identifies tuberculosis pathogens, as well as several important antibiotic resistance characteristics in only three hours. The novel assay detects TB pathogens directly from patient samples, without the need for any culture. In addition, it can be used to detect MDR-TB, i.e. resistance against rifampicin and isoniazid, the two most important first line TB drugs. This novel TB test relies on the innovative Bruker-Hain Liquid Array technology to analyze a multitude of mutations in the associated TB resistance genes. The new FluoroCycler XT is a novel, high-performance thermal cycler and optical reader that enables the Liquid Array assay technology. The FluoroType MTBDR 2.0 assay can detect more than 60 mutations in the TB genes, leading up to 522 resistance patterns with relevant information to guide therapy. This level of genetic specificity normally can only be achieved with sequencing. Dr. Jaime Esteban from the Depto. Microbiología Clínica at the Universidad Autónoma de Madrid stated: "We will implement the new high-resolution FluoroType MTBDR 2.0 test together with the newly developed, high-performance optical FluoroCycler XT to improve our ability to diagnose acute TB with greater specificity and as quickly as possible." The FluoroCycler XT PCR system and the FluoroType MTBDR 2.0 assay were CE-IVD registered in January 2019. With their combined launch, the fight against TB has a new tool for advanced testing to provide superior diagnostic information. David Hain, Managing Director of Bruker-Hain Diagnostics, said: "With introduction of the FluoroType MTBDR 2.0 Liquid Array assay for in-depth tuberculosis testing on our innovative FluoroCycler XT platform, Bruker supports the multinational healthcare objective to improve diagnosis for improved personalized therapy of acute tuberculosis." Reading Scientific Services Ltd (RSSL), a leading provider of scientific and technical solutions to the global pharmaceutical and biopharmaceutical sectors, has introduced the United Kingdom’s first same-day mycoplasma testing service for manufacturers of biologic medicines. Traditionally, the testing required to confirm biologics are free from mycoplasma, a genus of small, hard-to-detect bacteria that lack cell walls, took 28 days and used an agar and broth method. The European Pharmacopoeia now accepts a faster, PCR-based method but other limits on turnaround times mean manufacturers still typically need to wait two or more days to receive results. RSSL has used its established processes for sample handling and tracking to eliminate the constraints that have kept turnaround times above 48 hours. If a manufacturer gets a sample to RSSL by 9:30am, it will receive mycoplasma testing results by 5pm. RSSL has reduced the time it takes to execute this process to serve the UK’s fast-growing advanced therapy medicinal products (ATMPs) sector. Production of ATMPs such as autologous cell and gene therapies entails taking a sample from a patient, processing it and re-administering it back into the same patient within 15 days, making speed a priority. The highly trained and professional team at RSSL initially use automated technology to extract DNA for testing, followed by real-time PCR for mycoplasma using regulator-accepted commercial analysis kits such as the Roche MycoTOOL Mycoplasma Real-Time PCR Kit. RSSL is offering clients a choice of Real-Time PCR based kits based on their individual requirements. Multiple sample types can be used for the analysis although spent culture media is preferred, as this is easily available and will contain any mycoplasma that may have contaminated the process. Some preliminary sample validation is still required to ensure there are no components within the test material that will interfere with the PCR technique. “Speed of service is critical to manufacturers of autologous cell and gene therapies. These companies have a window of 10 to 15 days to execute the entire supply chain and manufacturing process. They simply don’t have time to wait for traditional mycoplasma testing methods,” Phil Kuhlman, Biomolecular Analysis Laboratory Manager at RSSL, said. RSSL offers longer turnaround times that may be more suitable for producers of traditional biologics but, with the UK emerging as a leader in ATMPs, it saw an unmet need for a one-day service. With 64 developers of ATMPs, the UK has more companies in the sector than any other European country.1 The manufacturing capacity in place to serve these companies increased by 60% in the year preceding November 20182. RSSL, which collaborates closely with commercial kit suppliers, offers the mycoplasma testing service as part of a broader suite of ATMP support. ATMP companies rely on RSSL for tests of raw materials, process and product related impurities, host cell protein and DNA and pharmaceutical microbiology. RSSL also provides GMP training, product issue troubleshooting and contaminant identification. Whatever your testing requirements, contact the RSSL customer services team to discuss your requirements further on +44 (0)118 918 4076 or email enquiries@rssl.com. Roche CustomBiotech regarding the MycoTOOL kit in Europe on +49 621 759 8580 or mannheim.custombiotech@roche.com, in North America Phone +1 800 428 5433, custombiotech.ussales@roche.com in Asia +65 6371 6638 or apac.custombiotech@roche.com. Promega Corporation’s new Water-Glo™ System offers water plant operators a rapid, highly sensitive and flexible measurement tool for monitoring microbial contamination in freshwater, process water, seawater or wastewater samples. 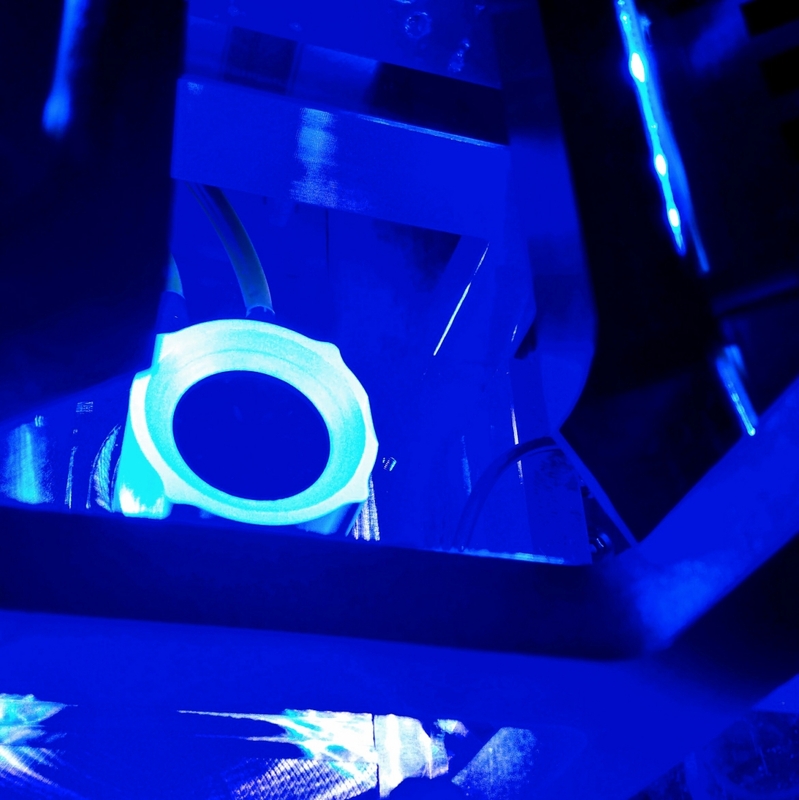 The Water-Glo™ System, launched by Promega this week, uses bioluminescent technology to measure adenosine triphosphate or ATP, the "energy currency" of all living cells that degrades rapidly when a cell dies. Even the slightest change in ATP levels acts as an early warning system to assess the presence of live microbes and possible dangerous pathogens in water. Water-Glo™ reagents were used in recent research by scientists at the world renowned IHE Delft Institute for Water Education based in Delft, the Netherlands demonstrating the first “direct method” of measuring ATP in seawater. The paper “ATP measurement in seawater reverse osmosis systems: Eliminating seawater matrix effects using a filtration-based method” is published in the March 2019 issue of the international journal Desalination. Flexibility to use in the field, floor or lab since the reagent is stable for six months at 4°C or two weeks at room temperature. Scientists at the International Centre for Diarrhoeal Disease Research, Bangladesh (icddr,b), in partnership with Incepta Pharmaceuticals, have developed a low-cost device which can detect cholera in only 15 minutes. Called Cholkit, the tool has generated hopes of better management of cholera and if commercially produced, it will reduce dependence on imported testing kits and might be exported as well, scientists said. “Presently, in addition to the laboratory culture of stool samples, imported rapid diagnostic test kits are being used for cholera detection,” said Dr Firdausi Qadri, the lead scientist in the project who works in the Infectious Diseases Division at icddr,b. An estimated 1.3 billion people globally are at risk of cholera, with South Asia constituting the largest share, which makes the device export-worthy. More importantly, Cholkit comes as a blessing for many in Bangladesh where at least 66 million people are at risk of cholera. Moreover, nearly 110,000 cases are reported annually, according to a statement of icddr,b yesterday. Scientists said the rapid diagnostic test (RDT) went through a rigorous three-year research and development process and successfully met requirements and guidelines for tests capable of detecting Vibrio cholerae from stool. To use it, the device is dipped into a tube with stool specimen and then in 15 minutes it provides qualitative result (coloured band) which is readable by the naked eye. A field evaluation of Cholkit has recently been published in the scientific journal “PLOS Neglected Tropical Diseases” which showed the sensitivity and specificity of the dipstick to be similar to the commercially available rapid diagnostic test (RDTs) for detecting Vibrio cholerae from stool specimens. A total of 7,720 stool samples were tested during the evaluation. Cholkit demonstrated a sensitivity of 76 percent and specificity of over 90 percent, while other RDTs showed around 72 percent and 86.8 percent respectively. The gold standard for detecting cholera is laboratory confirmation by stool culture, which is sensitive to several factors, including the quality of sampling, delays in shipment, laboratory equipment, skilled human resources. It also needs longer period of time (24 to 72 hours) and costs $6 to 8 per sample, icddr,b says. Cholkit is priced around $3, said icddr,b. Officials, however, said they could not specify its commercial price or when it would go into production but added it would be soon. 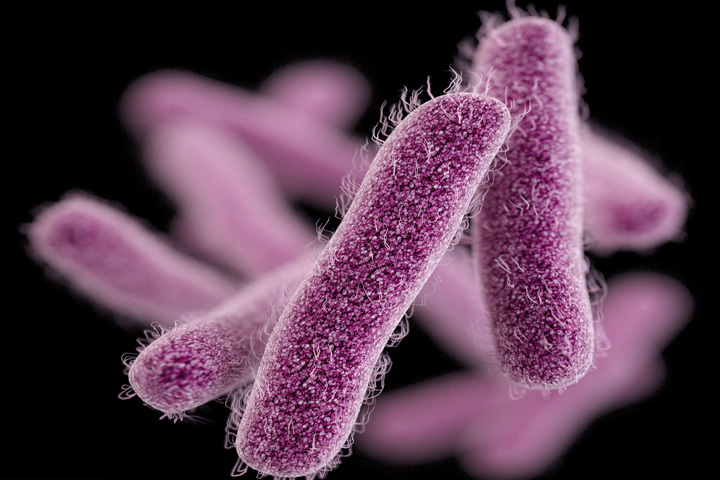 The kit has been found to be highly effective in detecting V cholerae serogroup O1 and has received official licensure, said icddr,b. From a public health perspective, cholera outbreaks need immediate and early detection as the pathogen can spread and cause epidemics in a short period of time, it said. “Thus, the need for simple and easy to use RDTs, which are quickly interpretable, require simple storage facilities, and are reasonably priced is a clear choice,” icddr,b said. It has the potential to be used at the primary health care level for cholera surveillance, for early outbreak detection and as a tool for an initial alert for monitoring of seasonal peaks in highly endemic areas and in peripheral health care facilities, it said. The Incepta-produced Cholkit is now being used in 22 cholera sentinel surveillance sites across Bangladesh. The sites are managed jointly by icddr,b and Institute of Epidemiology Disease Control And Research. 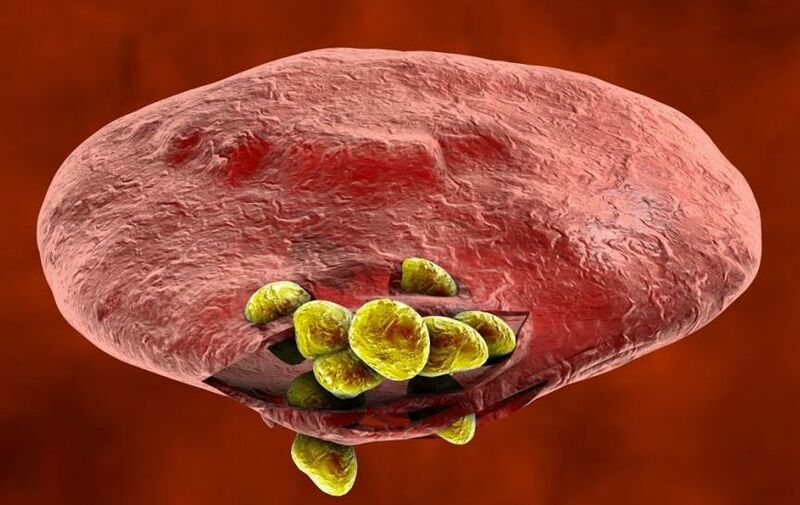 Shield Diagnostics, an Andreessen Horowitz-backed clinical laboratory tackling antibiotic resistance by bringing precision medicine to infectious disease, announced the launch of Target-NG, a rapid molecular test for antibiotic susceptibility in Neisseria gonorrhoeae. Redberry, founded in 2017, announced today that it will present its new Rapid Microbiological analysis platform, Red One®, for the first time at Forum Labo Paris 2019. Redberry will offer live demonstrations at its dedicated booth. “Red One® can detect microorganisms instantaneously and deliver a quantitative result. The workflow is fully automated, which makes it very easy to use. Visitors will be able to experience it themselves,” says Jonathan Macron, CEO of Redberry. First applications are water microbiological tests, for the water industry (potable & industrial) and the pharmaceutical industry. Other developments are ongoing for the food and cosmetics industries. “Our technology shows potential beyond the field of industrial microbiology with applications in Research and Diagnostics,” says Dr. Joseph Pierquin, Founder and CTO of Redberry. Fully automated, Redberry technology detects single cells but also micro-colonies at very early stages of growth. Using advanced image treatment techniques, the patented system tracks and analyzes the assimilation of staining agents by the targeted cells. This real time analysis enables differentiation of targeted cells from non-viable particles with a high level of reliability. In the field of industrial microbiology, Red One® delivers instantaneous results in most cases, while traditional methods, requiring a phase of culture and growth, will deliver typically in a few days. “Our product is fast, easy to use, and reliable. As a complement to classical tests in labs, it sets the path for routine testing, closer to our customers’ processes.” explains Macron. Redberry is a private company specializing in instrumentation and devices for Life Sciences and Health, located in the East of France (Strasbourg area). The six-person team develops and commercializes a new range of fully automated systems for Rapid Microbiology applications. Red One® is its first available product. 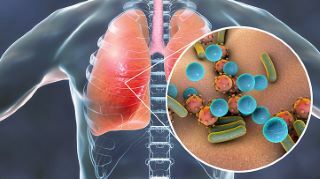 A new blood test for tuberculosis (TB) could, for the first time, enable screening of patients at an early stage of infection. The simple Actiphage® blood test is being investigated in a clinical trial by researchers from the University of Leicester and PBD Biotech - with results due to be announced later this year. Despite recent reductions, the UK has one of the highest rates of TB in Western Europe. While TB cases have been declining overall in the UK, the rate of TB in some of the most deprived areas remains more than 7 times higher than in the least deprived. TB is a serious bacterial infection, which can be life-threatening if not properly treated with antibiotics. Pulmonary TB of the lungs or throat is contagious, but TB can affect any part of the body. Actiphage®, developed by PBD Biotech, is an alternative to bacterial culture. The test’s underlying biotechnology was originally used for the detection of human TB - under the FastPlaque brand - but was only suitable for use on sputum. Now the phage-based diagnostic has been optimized, so it can detect the presence of the mycobacteria in blood in just six hours. This means it may help to improve the speed and reliability of diagnosis for TB patients and avoid the need for some patients to have more invasive tests performed. The clinical trial of the new Actiphage® test will involve a cohort of patients with both latent and active TB at Leicester’s Hospitals. “Many think of TB as a disease of the past and yet it is continuing to affect people, particularly in vulnerable communities across the country. Clinical trial findings will be announced at the American Thoracic Society (ATS) International Conference, Dallas, in May 2019. PathSensors is excited to break some new ground and expand their pathogen detection capabilities to work closely with the potato industry. The Baltimore-based biotechnology company is focused on delivering highly rapid and sensitive pathogen detection solutions to the agriculture, food safety, and biodefense industries and is currently working to employ their technologies to save time and money for potato seed growers. VP of Product Development, Dr. Andrew Flannery, recently attended the National Potato Expo in Austin, Texas on January 9-10th. The expo was a gathering of leaders in the potato industry, from grower associations to chip manufacturers and marketing associations. PathSensors attended as a company creating diagnostic solutions for potato disease and received valuable insights from other attendees about challenges they face. The current potato testing process is long and arduous. Potato farmers generally grow tubers in their home states before shipping these tubers to seed certification labs, which then ship the tubers to be grown out into sprouts in Hawaii so that the leaves may be tested for plant disease. This process involves large amounts of sample processing time, months of waiting, and has the added expense of shipping and testing outside of the continental United States. Wouldn’t it be great to make testing simpler? That’s why PathSensors is working to develop a high throughput potato tuber testing assay. To achieve this goal, PathSensors scientists have started working to create assays for the most common viruses that can infect potatoes. They are first focusing on potato virus Y, a Potyvirus which is commonly tested for in seed potatoes. 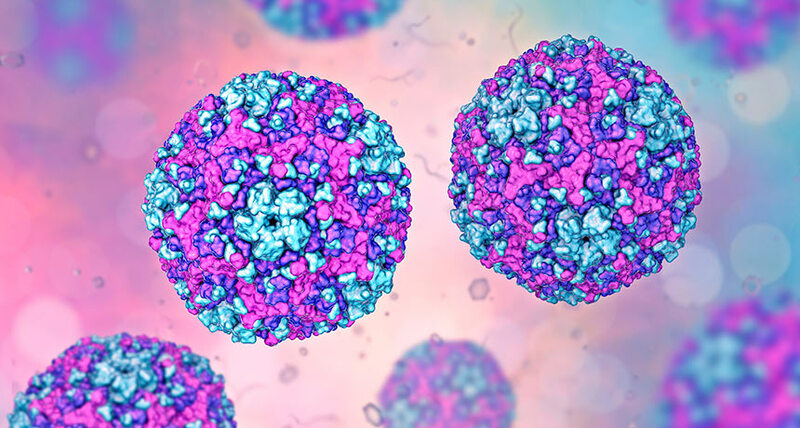 This proof-of-concept assay will be developed in collaboration with two USDA-ARS scientists, Dr. Ramon Jordan and Dr. John Hammond, who are experts on Potyviruses and developed monoclonal antibodies for their detection. “Potato virus Y causes one of the major potato diseases wherever potatoes are grown worldwide, causing losses of up to 60%; necrotic strains are especially important,” they commented. By creating a novel Potyvirus biosensor, PathSensors instruments can be used to detect to rapidly detect PVY in the required high testing volumes to help growers know they are producing high quality seed. PVY will be the first of many pathogens afflicting potato crops detected by PathSensors technology. The biotech company has licensed antibodies from organizations like Science and Advice for Scottish Agriculture (SASA), and Fera Science Limited in the United Kingdom in order to do further research into developing assays for the detection of other viruses, like potato mop-top and potato leafroll. Pertussis is a highly contagious respiratory disease caused by the bacterium Bordetella pertussis (B. pertussis). The infection is difficult to diagnose especially in underserved or resource-limited areas. Scientists at the University of Texas, University of Southern California and Children's Hospital Los Angeles have developed a low-cost and instrument-free diagnostic method for rapid and accurate detection of B. pertussis on a point-of-care (POC) testing device. The technology employs a paper/polymer hybrid microfluidic biochip integrated with loop-mediated isothermal amplification (LAMP) method for the rapid and accurate detection of B. pertussis. This microfluidic approach was validated by testing 100 de-identified remnant clinical nasopharyngeal swabs and aspirates, which were confirmed to be either positive or negative for B. pertussis by a validated real-time PCR assay at the Children's Hospital Los Angeles. 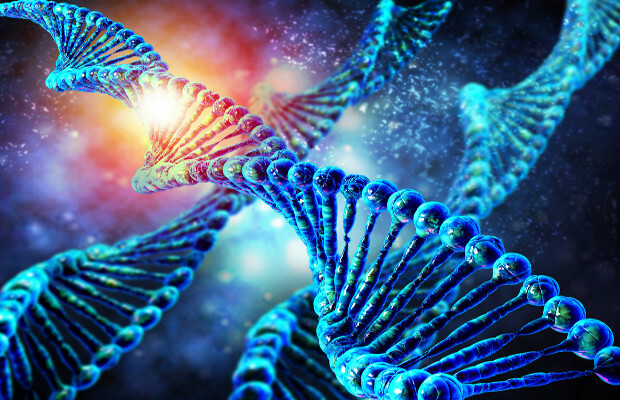 The instrument-free detection results could be successfully read by the naked eye within 45 min with a limit of detection (LOD) of 5 DNA copies per well. Our optimized bacterial lysis protocol allowed the direct testing of clinical samples without any complicated sample processing/preparation (i.e. DNA extraction) or the use of any equipment (e.g. centrifuges). The validation of the microfluidic approach was accomplished by testing 100 clinical samples. High sensitivity (100%) and specificity (96%) with respect to real-time PCR were achieved. This microfluidic biochip shows great potential for point-of-care disease diagnosis in various venues including schools and physician's offices, especially in low-resource settings in developing nations. The full study (and a link to the publication in PDF format) has been published in the online version of The Lancet. Known as the Axiom™Microbiome Array, or AMA, the new biological detection system is the most comprehensive microorganism detection platform built to date and the first high-throughput microarray. The LLMDA was licensed in 2016 to Waltham, Massachusetts-based Thermo Fisher Scientific and went on sale later that year as Applied Biosystems™ AMA. Automated programs can identify which sick infants in a neonatal intensive care unit (NICU) have sepsis hours before clinicians recognize the life-threatening condition. A team of data researchers and physician-scientists tested machine-learning models in a NICU population, drawing only on routinely collected data available in electronic health records (EHRs). "Because early detection and rapid intervention is essential in cases of sepsis, machine-learning tools like this offer the potential to improve clinical outcomes in these infants," said first author Aaron J. Masino, PhD, who led the study team's machine-learning efforts. Masino is an assistant professor in the Department of Anesthesiology and Critical Care Medicine and a member of the Department of Biomedical and Health Informatics at Children's Hospital of Philadelphia (CHOP). "Follow-up clinical studies will allow researchers to evaluate how well such systems perform in a hospital setting." The research team published its findings in the retrospective case-control study in PLOS ONE. 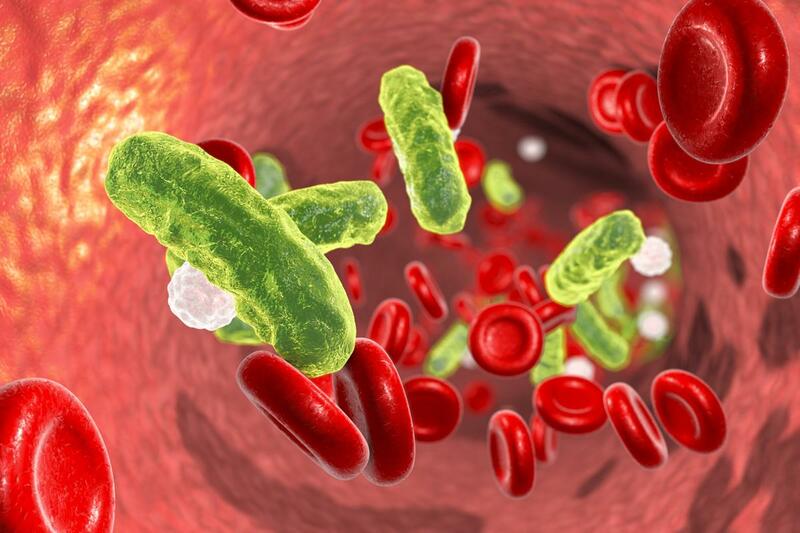 A major worldwide cause of infant mortality and morbidity, sepsis begins with a bacterial invasion of the bloodstream. An aggressive immune response can unfortunately cause a progression to septic shock, a severe systemic condition causing multiple organs to fail, sometimes fatally. While relatively rare in healthy, full-term infants, sepsis rates are 200 times higher in premature or chronically hospitalized infants. Survivors of infant sepsis may suffer long-term problems such as chronic lung disease, neurodevelopmental disabilities, and prolonged hospital stays. Rapid diagnosis of sepsis is often difficult in hospitalized infants, due to ambiguous clinical signs and inaccuracies in screening tests. Delays in recognizing sepsis cause delays in intervention, including antibiotic treatment and supportive care. However, unnecessary use of antibiotics carries its own risks and increases antibiotic resistance, so a clear-cut early diagnosis is important. The current study aimed to develop a machine-learning model able to recognize sepsis in NICU infants at least four hours before clinical suspicion. "To our knowledge, this was the first study to investigate machine learning to identify sepsis before clinical recognition using only routinely collected EHR data," said Masino. Machine learning uses computational and statistical techniques to train computational models to detect patterns from data, then perform a desired task. In this case, the study team evaluated how well eight machine-learning models were able to analyze patient data to predict which infants had sepsis. Because the data came from a retrospective sample of NICU infants, the researchers were able to compare each model's predictions to subsequent findings--whether or not an individual patient was found to develop sepsis. The study team drew on EHR data from 618 infants in the CHOP NICU, from 2014 to 2017. Many of the infants in the patient registry were premature; the cohort had a median gestational age of 34 weeks. Co-occurring conditions included chronic lung disease, congenital heart disease, necrotizing enterocolitis (a severe intestinal infection) and surgical conditions. Among the co-authors were pediatrician and biomedical informatics expert Robert W. Grundmeier, MD, and neonatologist and sepsis expert Mary Catherine Harris, MD. Both drew on their clinical experience and knowledge of medical literature to help develop groups of sepsis-related features available in EHR data. Masino, Grundmeier and Harris, in addition to their CHOP positions, also are faculty members of the Perelman School of Medicine at the University of Pennsylvania. Grundmeier and Harris, the study's lead clinical investigators, developed a list of 36 features associated or suspected to be associated with infant sepsis. Those features, grouped under vital signs, laboratory values, co-morbidities and clinical factors, such as whether an infant was on a ventilator, were extracted from EHR entries, and provided input data for the machine-learning models. "The biomedical informatics specialists like myself collaborated with our clinician colleagues to select relevant features from the EHR data," said Masino. Six of the eight models performed well in accurately predicting sepsis up to four hours before clinical recognition of the condition. The team's findings, said Masino, are a preliminary step toward developing a real-time clinical tool for hospital practice. The researchers plan to follow up this study with further research to refine their models and investigate the software tools in a carefully designed prospective clinical study. "If research validates some of these models, we may develop a tool to support clinical decisions and improve outcomes in critically ill infants," he added. Researchers at American University have developed a new, highly sensitive rapid genetic test that can determine whether bacteria carries a gene that causes resistance to two common antibiotics used to treat strep throat and other respiratory illnesses. The scientists show that the new method works as accurately as culture-based methods but gives results in minutes, not hours or days. The research has been published in BMC Infectious Diseases. The new rapid test developed by the AU team determines if a person harbors bacteria carrying the Macrolide efflux gene A, or mef(A), which causes resistance to two antibiotics: erythromycin and azithromycin. Azithromycin (also known as Zithromycin or a Z-Pak) is among those commonly used to treat strep throat and is one of the most highly prescribed antibiotics in the United States. "The test is able to detect the gene within 10 minutes of assay run-time," said John R. Bracht, assistant professor of biology at American University and corresponding author on the study. "Standard antibiotic testing requires at least an overnight culture and often isn't performed in routine diagnostic work. Instead, physicians guess which antibiotic to prescribe based on past experience and recommendations, and patients have to return if the treatment fails. We simplified the process of detecting antimicrobial resistance so a physician can determine whether or not a patient will be resistant to a prescribed drug while that patient is still in the waiting room. We think this is a game-changer for treating common illnesses." It's common knowledge in the medical community that there's widespread resistance in people to azithromycin and erythromycin, but in spite of that, the antibiotics are still used a lot in the treatment of strep throat and other respiratory illnesses, said the paper's lead author Megan M. Nelson, a graduate of AU's biotechnology master's program. "Our rapid genetic test can help doctors better assign medication on site, and improve point-of-care diagnostics, potentially leading to better outcomes without having prescribed a patient a useless antibiotic," she added. "There's a lot of trial and error with antibiotic use, so this is trying to take out some of the error." The rise of antibiotic-resistant bacteria is a growing problem in the United States and the world. 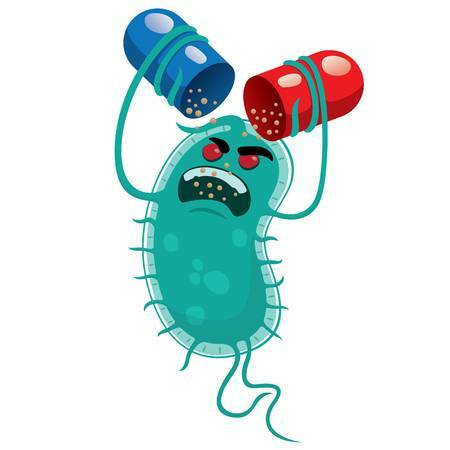 In the U.S. annually, more than 2 million people get infections that are resistant to antibiotics and at least 23,000 people die as a result, according to the Centers for Disease Control and Prevention. The U.S. National Institutes of Health, CDC, World Health Organization, and United Nations have prioritized the issue. However, tracking antimicrobial resistance is a significant challenge, the researchers write in the paper, precisely because the available culture-based methods are so slow and expensive. The new rapid test addresses this challenge, making tracking antibiotic resistance quick, easy, and routine. It offers scientific researchers a way to monitor the prevalence and movement of antimicrobial drug resistance. The next step for the AU team to getting the test into doctors' offices is to seek approval of the test from the U.S. Food and Drug Administration. Reference: Megan M. Nelson, Christopher L. Waldron and John R. Bracht. 2019. Rapid molecular detection of macrolide resistance. BMC Infectious Diseases. https://doi.org/10.1186/s12879-019-3762-4. Abbott has secured CE mark approval for Determine HBsAg 2, which is claimed to be the world's most sensitive rapid diagnostic test to detect hepatitis B surface antigen. Developed to be used with serum, plasma or whole blood, the rapid lateral flow test allows to identify people with the virus and facilitates linkage to care in every healthcare setting. Determine HBsAg 2 is said to offer rapid and accurate results of individual’s HBV status with an analytical sensitivity of 0.1 IU/mL. Determine HBsAg 2 is an in-vitro, visually read and qualitative immunoassay, which holds capacity to detect HBV within 15 minutes. Abbott is currently marketing Determine HBsAg 2 test in Europe, Africa, Asia Pacific and Latin America. The firm also submitted test’s data for WHO prequalification. 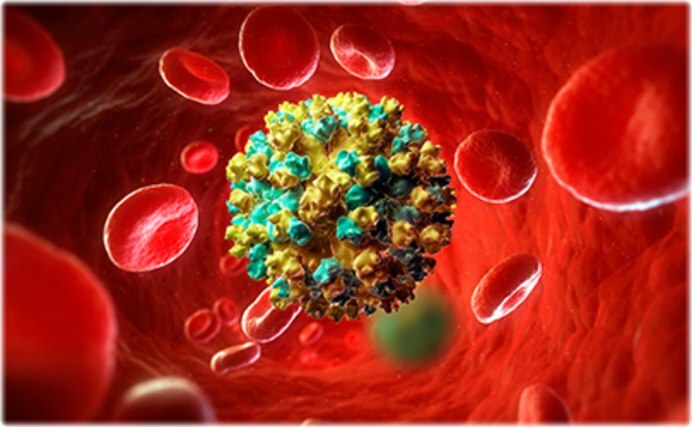 The World Health Organization (WHO) has set baseline targets to diagnose 30% of HBV-infected individuals by 2020 and 90% by 2030, as part of its efforts to reduce the current burden of disease. Abbott infectious disease-emerging markets vice president Damian Halloran said: “To achieve the WHO targets, 107 million HBV-infected people need to be urgently diagnosed, especially in highly endemic regions in Africa and Asia. Separately, Abbott has entered into a non-exclusive partnership with Novo Nordisk to provide integrated digital solution to people with diabetes using insulin. The partnership will facilitate to integrate insulin dose data from Novo Nordisk pre-filled and durable connected pens directly into the digital health tools compatible with the FreeStyle Libre system. The integrated digital solution will allow healthcare professionals, caregivers and people with diabetes to view glucose and insulin data together to help them make more informed treatment decisions. A study, published in the journal Proceedings of the National Academy of Sciences, describes for the first time how folded wax paper, prepared with a printer and a hot plate, has helped detect malaria with 98 percent sensitivity in infected participants from two primary schools in Uganda. Malaria is one of the world's leading causes of illness and death, affecting more than 219 million people in 90 countries around the globe, and killing 435,000 people in 2017 alone, said researchers from the University of Glasgow in the UK and Shanghai Jiao Tong University in China. A significant issue for arresting and reversing the spread of the disease is diagnosing it in people who are infected but who do not display any symptoms, a problem which can only be addressed by widespread field tests. However, current tests, which rely on a process known as polymerase chain reaction (PCR), can only be carried out under laboratory conditions, making them unsuited for use in remote locations. The team developed a new approach to diagnostics. It uses paper to prepare patient samples for a different type of detection process known as loop-mediated isothermal amplification, or LAMP, which is more portable and better-suited for use in the field. The origami platform uses a commercially-available printer to coat the paper in patterns made from water-resistant wax, which is then melted on a hotplate, bonding the wax to the paper. A blood sample taken from a patient via fingerprick is placed on in a channel in the wax, then the paper is folded, directing the sample into a narrow channel and then three small chambers which the LAMP machine uses to test the samples' DNA for evidence of Plasmodium falciparum, the mosquito-borne parasitic species which causes malaria. The test can be completed on-site in less than 50 minutes. "We tested our approach with volunteers from two primary schools in the Mayuge and Apac districts in Uganda," said Professor Jonathan Cooper of the University of Glasgow. "We took samples from 67 schoolchildren, under strict ethical approval, and ran diagnostic tests in the field using optical microscopy techniques, the gold standard method in these low-resource settings, a commercial rapid diagnostic procedure known as a lateral flow test and our LAMP approach. "We also carried out PCR back in Glasgow, on samples collected in the field," he said. 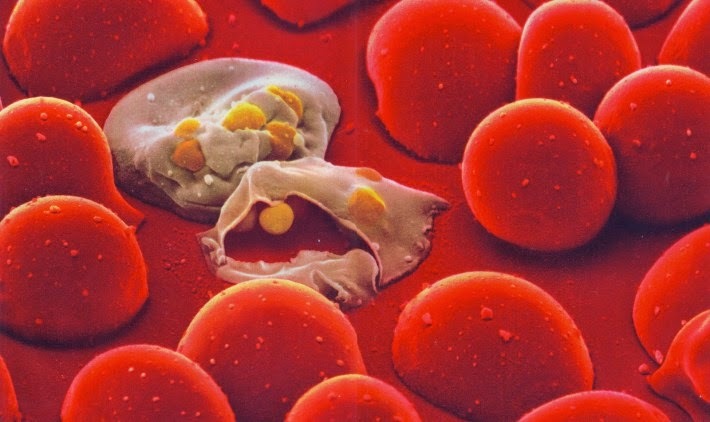 The approach correctly diagnosed malaria in 98 percent of the infected samples tested, markedly more sensitive than both the microscopy and lateral flow tests, which delivered 86 percent and 83 percent respectively, researchers said. "It's a very encouraging result which suggests that our paper-based LAMP diagnostics could help deliver better, faster, more effective testing for malaria infections in areas which are currently underserved by available diagnostic techniques," they said. "These are challenging environments for any test of this type, with no access to the kinds of refrigeration, special equipment and training that more traditional diagnostic procedures require, so it's very encouraging that the diagnostic techniques we have developed have proven to be so sensitive and reliable," said Julien Reboud of the University of Glasgow. "With malaria infections on the increase in 13 affected countries according to a World Health Organisation report released last year, it's vital that new forms of diagnosis reach the people who need them, and we're committed to developing our approach to paper-based LAMP diagnostics further after this encouraging study," Reboud said. Using a small and inexpensive biosensor, researchers in the School of Engineering have developed a novel low-cost technique that quickly and accurately detects cryptosporidium contamination in water samples. 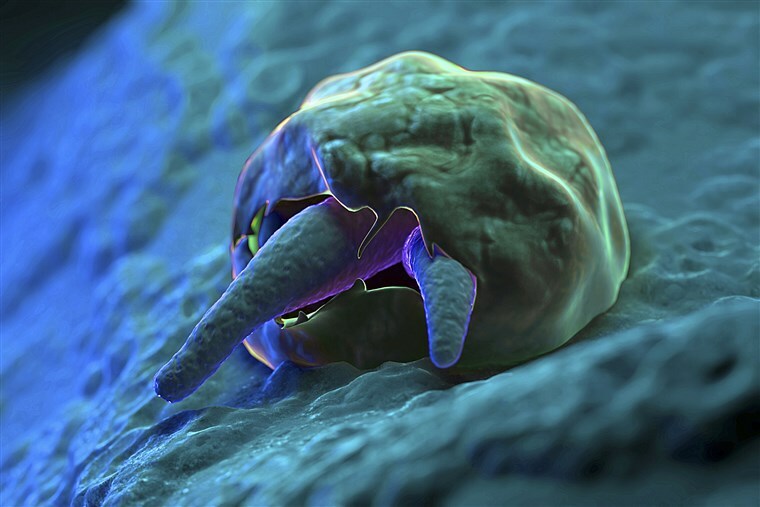 Cryptosporidium is an intestinal pathogen and one of the leading causes of respiratory and gastrointestinal illness in the world. Drinking water contaminated with the parasite can result in diarrhea and, in extreme cases, can even lead to death. Luka says there is an urgent need to develop a fast, flexible, accurate and real-time detection tool to meet the challenge of protecting water consumers from this common and potentially dangerous contaminent. To solve this problem, Luka and his colleagues tested a specially designed and calibrated biosensor. 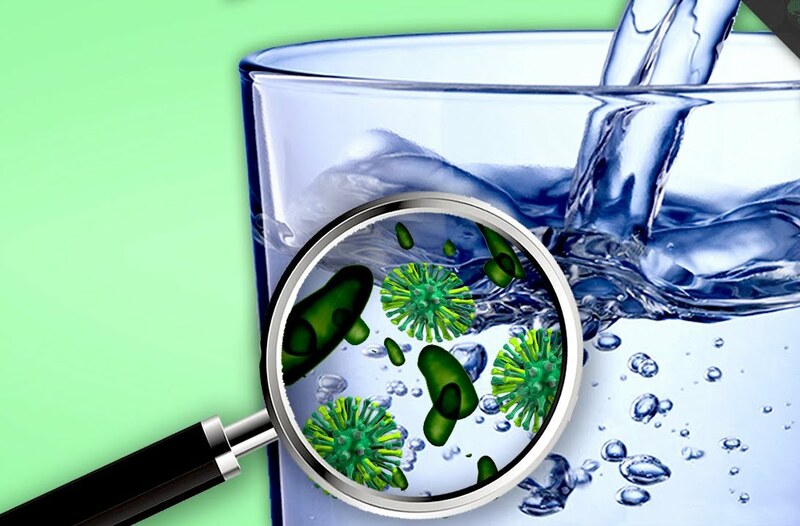 Using varying concentrations of pathogen in water samples, they were able establish its ability to detect cryptosporidium contamination. Luka also says the biosensor can be expanded to measure other biomarkers and hazards. The research was published recently in the journal Sensors and was funded by the India-Canada Centre for Innovative Multidisciplinary Partnerships to Accelerate Community Transformation and Sustainability (IC-IMPACTS). George Luka, Ehsan Samiei, Soroush Dehghani, Thomas Johnson, Homayoun Najjaran, Mina Hoorfar. Label-Free Capacitive Biosensor for Detection of Cryptosporidium. Sensors, 2019; 19 (2): 258. A Newbridge scientist has been awarded a grant of €419,000 from Science Federation Ireland to aid him in his pioneering research into faster clinical detection and diagnosis of bacterial infections. Dr Joseph Byrne, who currently works in NUI Galway said the grant will allow him to apply his research to new applications. One of the infections that Dr Byrne researches and aims to combat is Pseudomonas aeruginosa, which is a common cause of death in sufferers of cystic fibrosis. “My SIRG project will be built upon a foundation of carbohydrate chemistry, which I have been exploring during my postdoctoral research in Switzerland. While in Trinity I also worked on a project where I made compounds which hindered the growth of bio-films caused by bacteria linked to lung infections,” said Dr Byrne. “I will carry out my research mostly in the School of Chemistry in NUI Galway. Additionally, I have collaborators in CÚRAM (SFI Centre for Medical Device Research) and in TU Dublin, whose labs I will visit to achieve key milestones in the project. The work will be carried out by me and a PhD student who I will recruit in the coming months. I also have a team of collaborators who have offered me some of their time and expertise to help me progress with my research,” he added. 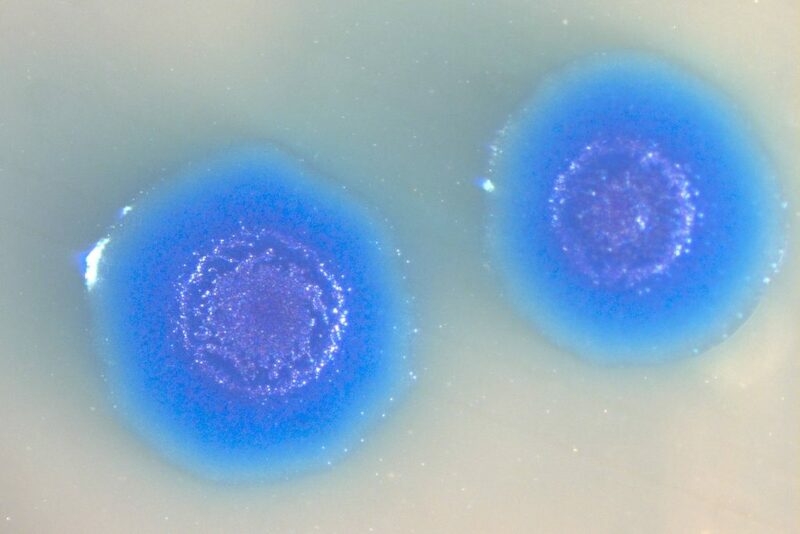 Dr Byrne’s planned devices will be designed by means of 3D printing and will be programmed to operate in such a way as to detect the presence of specific bacteria through colour changes. These changes are caused by the interactions of their proteins with laboratory-produced sugar-based chemical compounds on the surface of newly-designed materials. Dr Byrne also explained the importance of his progress and why he is determined to combat harmful bacterial infections: “Rapid diagnosis of bacteria is vital to inform appropriate medical treatment strategies and combat increasing antibiotic resistance globally. By providing a new methodology for rapid diagnosis of bacterial infection, my work will facilitate quicker decision-making on targeted medical treatment strategies for patients. “In Ireland this would be particularly valuable for rapid diagnosis of Pseudomonas aeruginosa infections, a significant risk factor for cystic fibrosis patients (as well as others with compromised immune systems). 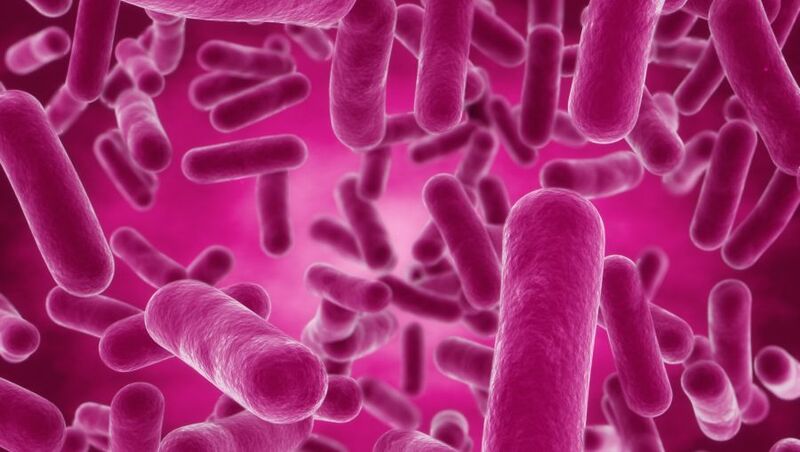 More generally, helping clinicians avoid the use of broad-spectrum antibiotics would help combat the global challenge of increased antibiotic resistance,” he said. Dr Byrne is a former pupil of Scoil Mhuire Primary School and the Patrician Brothers Secondary School in Newbridge. He attended Maynooth University from 2006-2010, where he received his degree in Chemistry. In 2015, he then received his PhD from Trinity College in Dublin. He is currently in Switzerland finishing a Marie Curie Research Fellowship in the University of Bern and will start his new venture with his planned devices in NUI Galway this April.